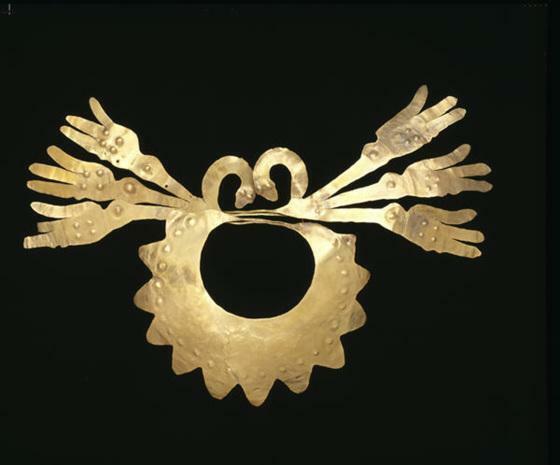 This nose ornament was featured in the World of Ancient Gold exhibit at the New York's World's Fair, Travel and Transportation Pavilion (April 22-October 18, 1964). 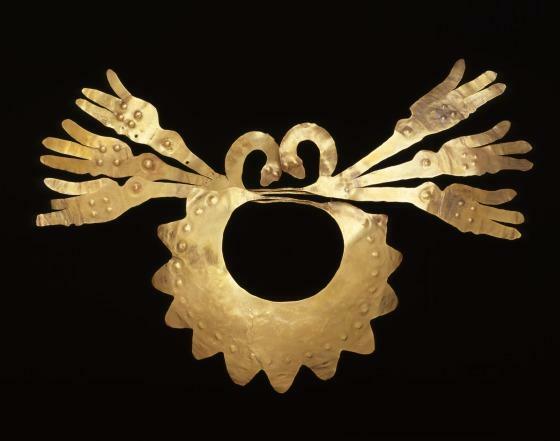 In his 1976 report, Junius B. Bird, curator emeritus of South American archaeology at the American Museum of Natural History, notes: "B126p Nazca nose ornament. Very nice with 5 humming birds in profile on each side above the lower section which has a band of stylized faces at bottom. 11" x 8"."